Fixed Mindset vs Growth Mindset, Innovation Mindset, Change Mindset and now Process Mindset! With the terms, current popularity following the brilliant book, Mindset by Carol S. Dweck, I wanted to clarify what is a Mindset? A mindset can be defined as a person’s way of thinking which create their beliefs, habits and opinions. These characteristic mental attitudes then determine how we interpret and respond to situations. The power of our beliefs both conscious and unconscious affect every aspect of our lives. Carol Dweck referred to Mindset’s as being in one of two categories; Growth or Fixed. People with a Growth Mindset would see challenges as opportunities to grow and see feedback as always positive. This is vs the Fixed Mindset where people set mental limitations such as either I can do something or I cannot. Fixed are also more likely to focus on what they know and take feedback and criticism personally. In our context of the Process Mindset we are looking to create a shift in the mindset of business owners and management into this Growth Mindset with a focus on the use of processes. By harnessing the power of processes everyone and every company can remove their limits, but first they must believe and value the use of processes. Many businesses create processes to appease a quality system or simply to tick a box, but don’t truly run their business by them. They can be deemed as boring or even detrimental to creativity. Our research has shown the opposite couldn’t be further from the truth. Pick up a good business book and at its core will be a great process waiting to be adopted. Take for instance The Lean Start Up by Eric Ries and its process for rapid and continuous innovation. All companies could adopt this system but as they don’t operate by processes and they don’t have the correct mindset they often fail to implement or simply don’t try. For the process mindset to become established it needs to become part of your routine so you must work to your process daily and eventually it will become a habit. For some the concept of processes are simple, they may have joined a business where the company already operated that way or realised what was required, but many and I mean many people fail to see it. I was one of them. I spent two decades running a business and checking processes within a quality system but we never truly ran the business by processes only the basic procedures. The result was failed attempts at implementing new systems such as lean, TPM and other concepts. They would work for a period but then drift off and people would go back to old habits. 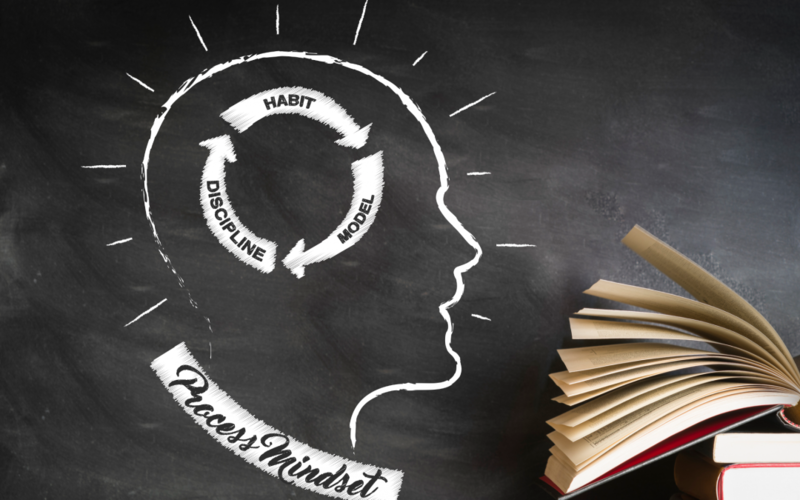 The Process Mindset is about breaking habits down and replacing them with what is required. This mean training and coaching. The big manufacturing companies such as Toyota, Jaguar Land Rover and General Electric, learnt long ago the benefits and are now able to continually improve by refining and adopting new ones. It’s impended in their culture and that only happens from the top down. If you want to know more about The Process Mindset subscribe to our email list and check out our free download book (coming soon), and keep an eye out on Amazon for a soon to be published book on the power of the Process Mindset.